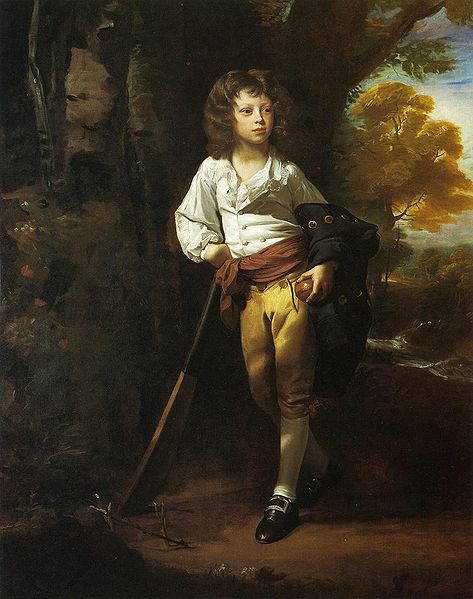 As the portrait indicates, Richard Heber (1773 – 1833) was a handsome boy. He was also nearsighted, and perhaps for this reason conceived a passion for collecting books. He was later termed as having “bibliomania” and no wonder. His collection of books filled several houses in England and abroad. Richard’s father, to whom he owed a vast inheritance, decried his book-collecting, stating the indulgence should be nipped in the bud before it ruined him, having “no use nor end.” Little heed was paid to this advice. 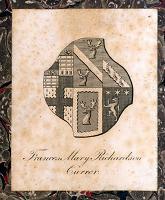 When Richard came into his inheritance in 1804, he embarked on a buying spree, travelling abroad after “ransacking” England in pursuit of entire collections and the most rare, original editions of selected works. He not only loved book-collecting, he loved the friendships his passion brought him. He was very happy to lend his books and could be relied upon to provide the original edition if a copy was found to contain errors (as subsequent editions frequently did). His scholarship aided such luminaries as Sir Walter Scott, who dedicated the sixth canto of Marmion to him, and William Wordsworth. Richard’s influence among academia brought professorships and fellowships to those who sought his help. “..the assets of his ‘popular manners, his great library, his genuine Toryism and his assiduous canvass of near 15 years’ were offset by the ‘great cry’ raised against him by ‘the high churchmen’, who were said to ‘accuse him of travelling in stage coaches, of living at a brewery, of associating with the opposition, and of being favourably disposed towards the Catholics.’ — Althorp Letters, 115; Add. 51659, Whishaw to Lady Holland, 16 July 1821. For all he did for his friends, they were conspicuously absent in his later years. In the end, he died alone, having never married. This entry was posted in Regency, Uncategorized and tagged Eshton Hall, Frances Mary Richardson Currer, literature, Richard Heber, Sir Walter Scott, William Wordsworth, Wlater Scott by Angelyn. Bookmark the permalink. Oh, you knew I would like this post! Thanks from your friendly reference librarian. Oh–friendly, indeed! Just don’t run for Congress. Obviously people who like books, then as now, tend to cling together! What I would give to have a day or two (or 3 or 4) to prowl through either of those collections. My sentiments, exactly. You know, there are people out there who still stumble upon former residents of both collections, still being passed around, their Heber and Currer bookplates wondered at. Few recognize the names, apart from the Regency community. Really enjoyed this. You write about this chap with such sympathy and such an appreciation–which is rare. So often, people regard those in the past as little more than assemblages of dates to peered at through a telescope. Thank you. There were rumors of his homosexuality, bandied about in such ditties like “he has an addiction to hartshorn.” His alleged “co-conspirator,” a Mr. Hartsthorne, begged Heber to return to England and answer them, but he refused. Impossible not to sympathize with him. Clearly Miss Currer did, right until the end. That would make a good plot line, but it needs a HEA. Always glad to have you visit! Loved this post, and delighted with the information about Miss Currer from the magazine. A heroine of the Regency, I daresay. Thanks for stopping by, Gerri! Two more people I would like to go back in time and meet. Thanks for another wonderful post! Take me with you, Ally. How many times I’ve wanted to go back, too.